Bats are thought to be the number one carrier of diseases, hosting a myriad of pathogenic viruses from Ebola to SARS-CoV. But despite hosting so many deadly viruses, bats show no clinical signs of disease. Scientists have always wondered what allows bats to be virus reservoirs while simultaneously remaining healthy. Now, Chinese researchers may have found the answer. Their study suggests that bats employ an antiviral pathway called STING-interferon, which provides the flying mammals with just enough defense against illness without triggering a hightened immune reaction. Previously, a study published in Nature compiled all the viruses known to infect mammals, which included about 600 viruses found in more than 750 species. It turns out that out of all the species assessed, bats carried the highest number of these viruses. And along with the addition cytosolic DNA generated by these viral infections, bats also get DNA damage due to the metabolic demand of flight. However, they still a have a longer lifespan than terrestrial animals their size. What’s their secret? Experiments led by Peng Zhou, a professor at the Wuhan Institution of Virology, ultimately revealed that bats have a dampened immune pathway called the STING-interferon pathway. STING is an essential adaptor protein in multiple DNA sensing pathways. The bats dampen the pathway to prevent an over-response of the immune system. We know, for instance, that an activated STING pathway is linked to severe autoimmune diseases in humans. In bats, there’s a “balance between the bat’s immune system and viruses,” Zhou told ZME Science. 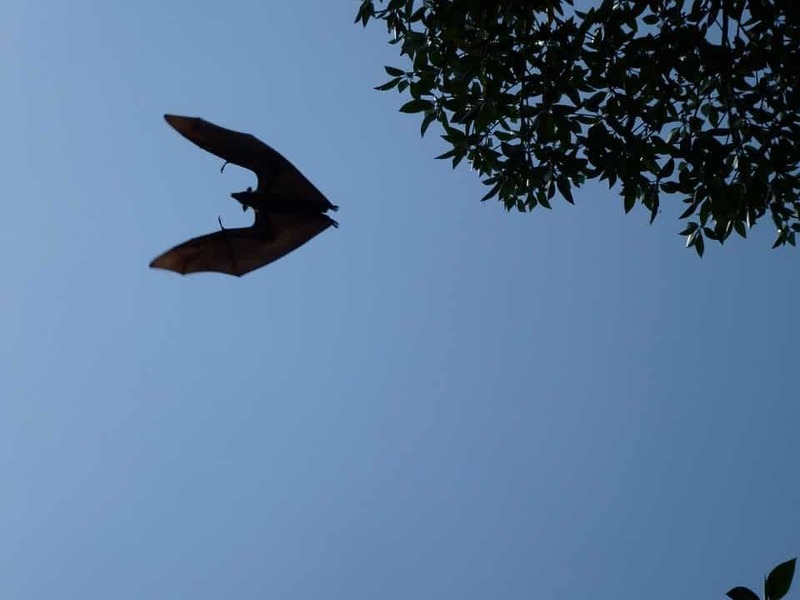 It’s likely that that bats arrived at this defense strategy as a result of three interconnected features of bat biology: bats are flying mammals, have a long lifespan (five different species have been recorded to live over 30 years in the wild), and are host to a huge viral reservoir. In the end, the bat is not only able to survive in spite of harboring hundreds of viruses, but instead, it actually thrives. Perhaps one day we’ll be able to apply some of the bat’s tricks in medicine, or so Zhou hopes. “Eventually we can learn from bats to deal with either over response or to control virus replication. We are working on both directions. For example, if there are antiviral genes or inflammation depress genes that are unique to bats (we have primary evidence ) will these apply to us?” Zhou said. Findings appeared in the journal Cell Host & Microbiome.